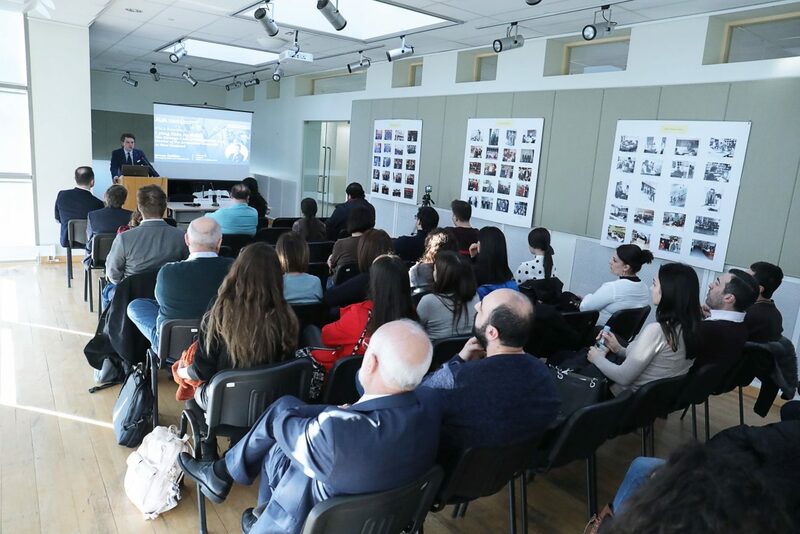 YEREVAN, Armenia – On February 6, 2019, the American University of Armenia (AUA) Political Science and International Affairs (PSIA) program welcomed award-winning journalist, critic, and columnist James Robins from New Zealand for the first seminar of the spring semester. Robins discussed The Strange Case of Recognition and Denial of the Armenian Genocide in New Zealand. 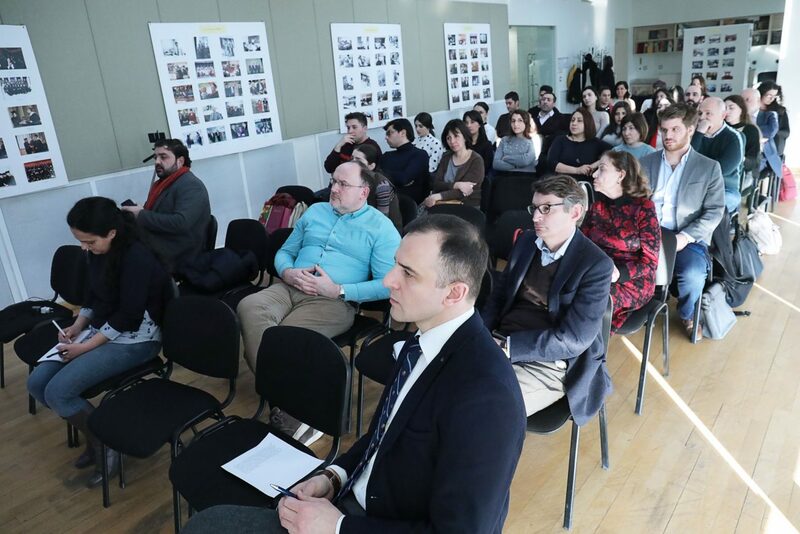 The Deputy Director of the Genocide Museum Institute, Dr. Edita Gzoyan, was the discussant for the talk, and the Chair of the PSIA Program, Dr. Vahram Ter-Matevosyan, moderated the event. Robins started his talk by discerning two aspects of his presentation: the history and the consequences of the historical events. According to the speaker, during the Armenian Genocide, soldiers from the Australia New Zealand Army Corps (ANZAC) were also captured by the Ottomans, which not only brought them into contact with Armenians, but made them witnesses of the Genocide. Moreover, the speaker elaborated that soldiers from New Zealand and Australia not only witnessed the atrocities, but also actively intervened to protect the survivors. Robins also mentioned cases when New Zealanders sacrificed their lives to defend Armenians. In the aftermath of the WWI, New Zealand citizens mobilized behind international efforts for Armenian relief. While the government denied any assistance for the Armenian survivors, ordinary people donated. However, over the last century, history has been forgotten and denied in favor of building a ‘special relationship’ with the Republic of Turkey. 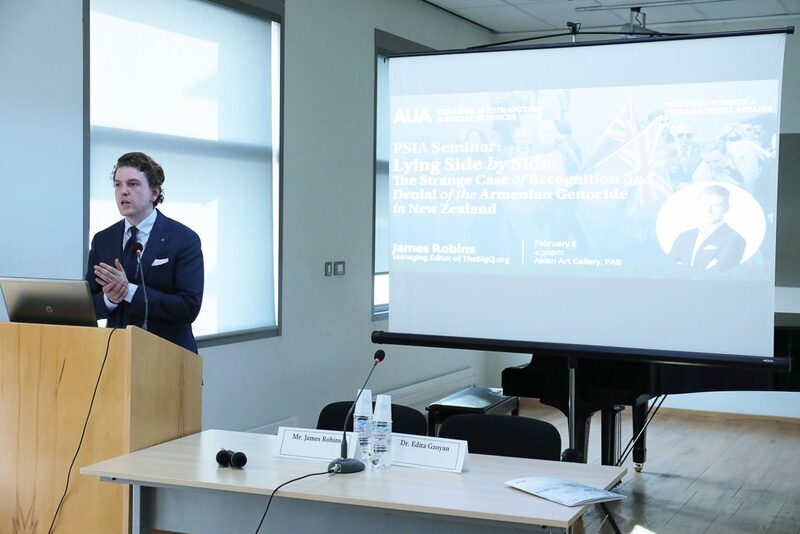 In the second part of the presentation, Robins further explained that this ‘special relationship’ was the reason why the Armenian Genocide was not only forgotten in New Zealand but also actively denied. In his talk, Robins also spoke about the Anzac Day on April 25 which is a day later than commemoration of the Armenian Genocide on April 24. Anzac Day is a public holiday widely attended in New Zealand and Australia and celebrated as the national day of remembrance of the first landing of the Anzacs at Gallipoli. 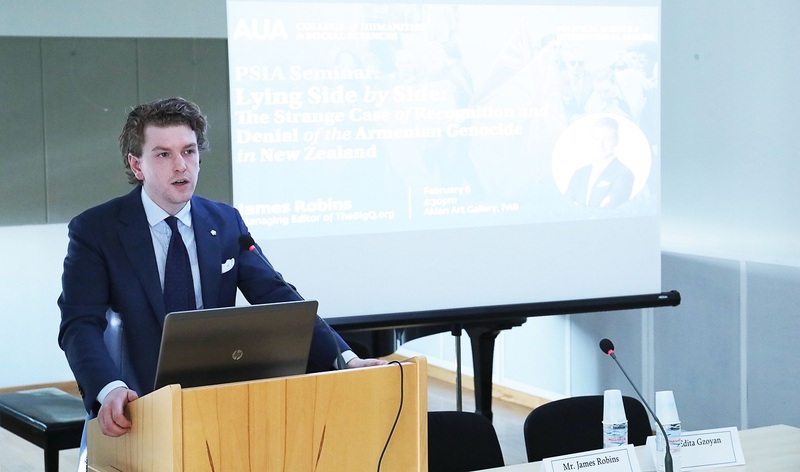 Concluding his speech, Robins added that New Zealand’s acknowledgement and recognition of the Armenian Genocide is the acknowledgement and recognition of New Zealand’s own past. 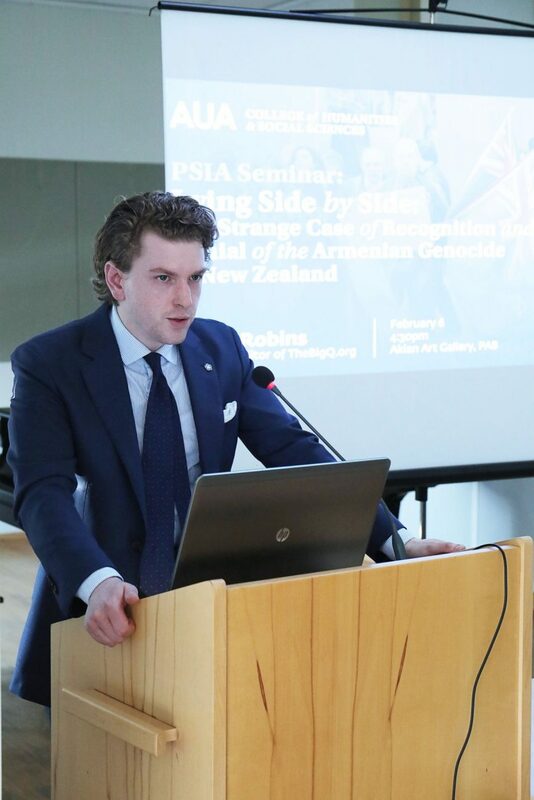 The speaker explained that by denying the Armenian Genocide, New Zealand is denying its own history, its soldiers who witnessed the killing and actively intervened to protect the survivors, the memory of Captain Robert Nicol who gave his life to protect Armenians and Assyrians, as well as the words of the former Prime Minister who had acknowledged the killings. 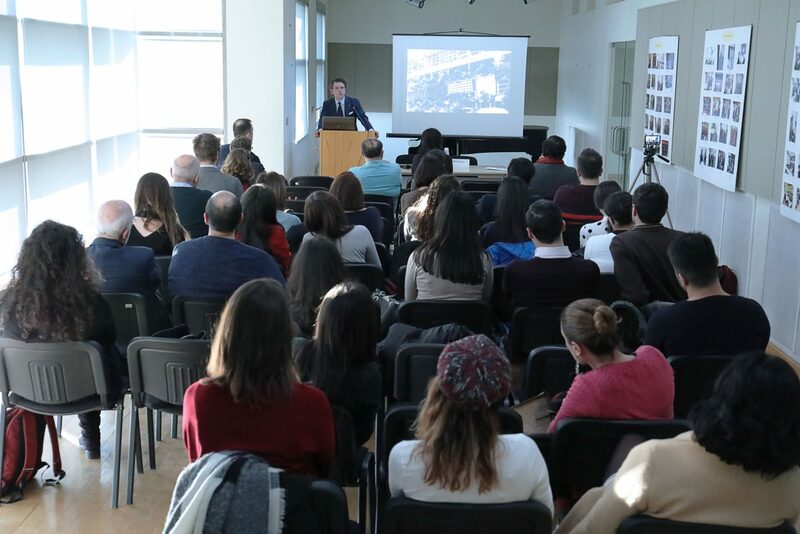 The presentation was followed by the remarks of Dr. Gzoyan and the Q&A session, during which the audience had the chance to seek further elaboration of the topic. The complete talk is available here.